Hi, I’m Dave. I am not a medical professional. I’m Simply A Dad sharing the information and advice I have learned as I work to heal my son with autism and my own chronic health issues. I created this site to help your family find health, hope, & healing. Keto For Kids: Is It Safe For Kids To Be Low Carb Too? Listeners learn practical advice to help them raise happy, healthy families. Expert guests cover a variety of topics such as healing chronic illness, detoxification, mindfulness, and so much more! Listen for free on your favorite podcast player. Before starting a detoxification protocol, you must lay a strong foundation. Learn how with this free ebook. The Ion Cleanse: Can a Footbath Really Help Autism? Who Is I'm Simply A Dad? Hi, I’m Dave. I used to be stressed-out & addicted to fast food & sweet treats. This left me with many issues like extreme fatigue, brain fog, & chronic pain. My son’s autism diagnosis pretty much saved my life! It wasn’t until I began learning how to help my son heal and improve his autism symptoms that I finally began to take steps to improve my own life. There is still work to be done for us both, but we are on the right track. I started this site for those following a similar journey. I hope to make the road to health, hope, & healing, a little bit easier for your family. Get a jump start on your gluten free, casein free (dairy) journey. Can The Autism Diet Help My Child? 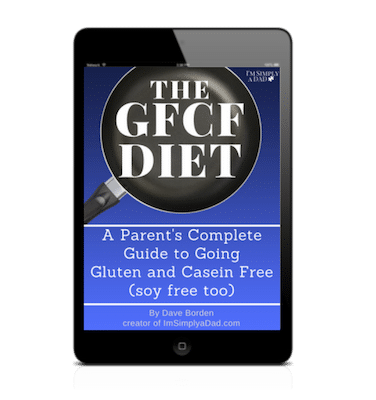 GFCF Diet Coach: Do You Need Help Starting The Autism Diet? Thrive Market Review: Is It Worth the Cost of Membership?